The new policy means companies will be fined if less than 50 per cent of their workforce is made up of Saudi nationals. HRH Prince Alwaleed bin Talal has given his support to a scheme that will see private companies hit with financial penalties if they employ more foreign workers than locals. The Saudi Arabian billionaire and chairman of the Kingdom Holding Company, commended the Council of Ministers’ decision which came into force on November 15. The Ministry of Labour policy states that companies will be hit with a monthly fine of SAR200 if less than 50 per cent of their workforce is made up of Saudi nationals. The foreign labour population in the Kingdom is believed to be the third highest in the world with roughly 90 per cent of its current workforce made up by expatriates. As a result around SAR100 billion is transferred out of the country annually. Speaking in a statement on Monday, Prince Alwaleed said: “The SAR200 monthly fee on business owners employing less than 50 per cent Saudis is a very small amount to pay by them for the benefit of their country. Any company or organisation that wants to avoid paying those fees can do so by employing 50 percent Saudis. The current rate of unemployment in the Kingdom, the largest economy in the Middle East, is about 10.5 per cent. 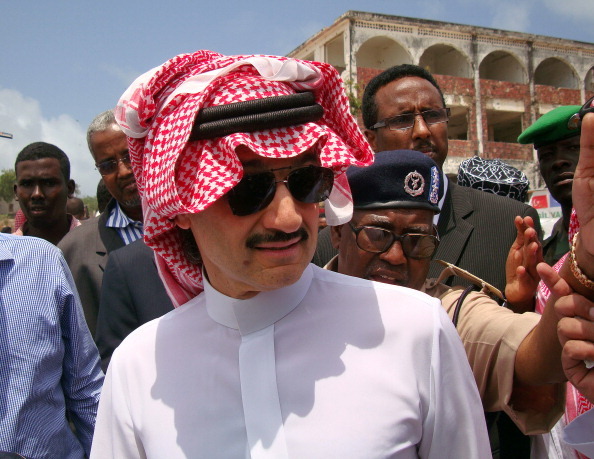 Prince Alwaleed noted that Saudi Arabia was one of the few countries in the world not to apply fees on foreign labour and said there should be a ‘national vision’ to having an effective law, fees and limitations for companies. Earlier this year the Ministry of Labour said it had created 380,000 new jobs in ten months for Saudi people. However the move was met with criticism from some companies who complained about the rising costs and disruption to their operations. At the start of the year, Labour Minister Adel Fakeih said the Kingdom needed to create three million jobs for Saudi nationals by 2015 and six million by 2030.